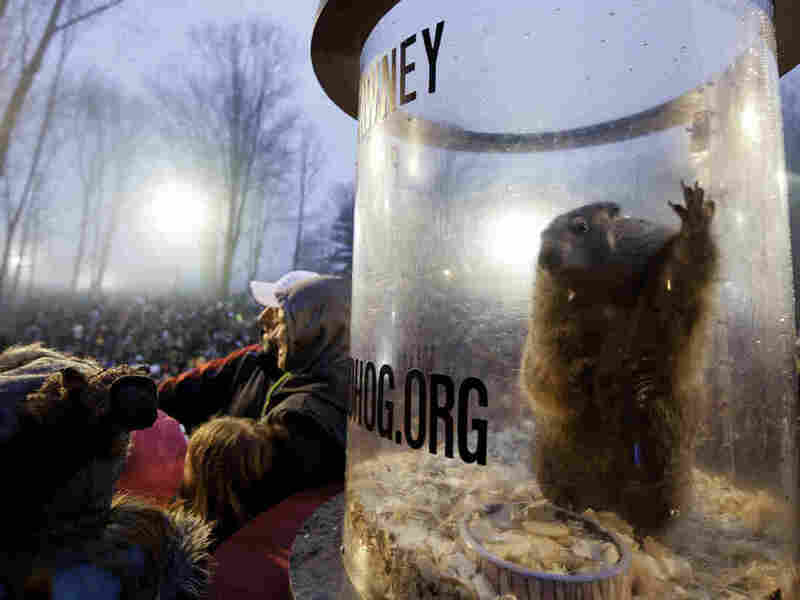 Groundhog Day: Bringing The Celebration Out Of The Shadows Each year on Feb. 2, a few groundhogs — the most famous of which is Punxsutawney Phil — tell the nation what weather to expect. It may be one of America's strangest traditions. On Thursday, Punxsutawney Phil will predict whether there will be six more weeks of winter or an early spring. But why is a groundhog predicting the weather for us in the first place? Here are a few tidbits of information about groundhogs and the day that celebrates their meteorological skills. A celebration of future weather conditions existed long before groundhogs were involved. Originally, the idea sprang from the ancient Christian celebration, Candlemas Day. It fell between the winter solstice and the spring equinox, and clergy would bless candles and pass them out to people. Like Groundhog Day, if skies were sunny, people could expect a longer winter. And if the day was cloudy, warm weather was soon to come. Eventually, a hedgehog was brought into the mix, only to be later switched out for a groundhog. 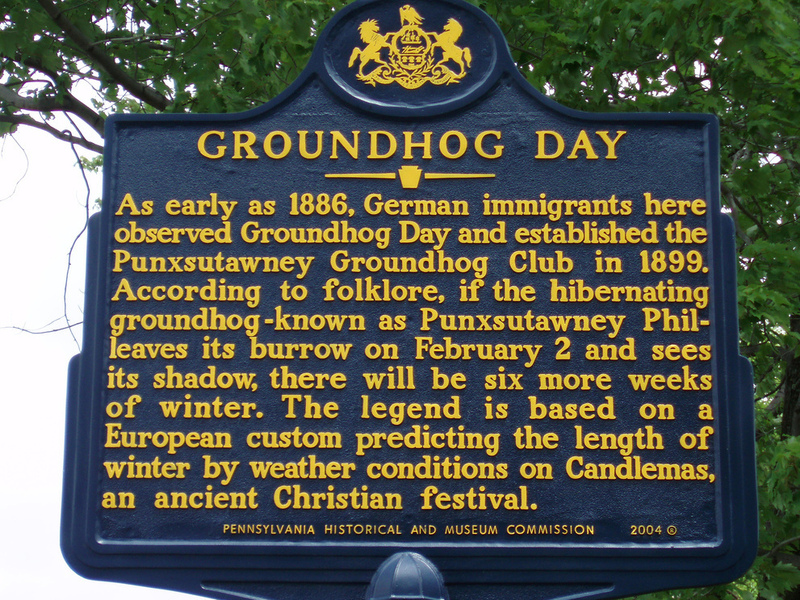 In the 1880s, however, groundhogs served as both the celebration and a meal: Members of the Punxsutawney Groundhog Club hosted the annual February celebration, along with a groundhog hunt in the summer. But as Phil rose in popularity, he moved off the menu. From Pennsylvania's less famous Grover the Groundhog to North Carolina's Sir Walter Wally to New York's Staten Island Chuck, there is no shortage of groundhogs called upon to predict the weather. Washington, D.C., even has Potomac Phil, a stuffed groundhog, though it's unclear how a dead groundhog is able to see his shadow. "At this time of year, males emerge from their burrows to start searching for the females. The females come out probably seven days later and stay just outside of their burrow or maybe just inside their burrow." "In March, they all emerge together, and that's when mating occurs. The males know exactly where the females are, [so] mating can occur very rapidly." Punxsutawney Phil is by far the most famous among these rodents, as his predictions are heard around the country. But how accurate are his forecasts? Since 1988, Phil's predictions have only been correct about 46 percent of the time, according to USA Today. In comparison, Staten Island Chuck's accuracy rate of 80 percent is nearly double that of Phil's. In 2009, Staten Island Zoo's Doug Schwartz told Time that Phil may be more popular, but Chuck had better numbers. "You want accurate readings, you go to Chuck," he told the reporter. A marker for Groundhog Day describes the process. But the members of the Punxsutawney Groundhog Club's Inner Circle, who care for Phil and help plan the event every year, claim he is correct 100 percent of the time. Every summer, Phil takes a sip of the "elixir of life" — a secret recipe, of course — and it gives him seven additional years of life. Maybe he's used that extra time to perfect his "Groundhogese," a language only understood by the president of the group's Inner Circle. The current president, Bill Deeley, has been a member of the club since 1986. Each year Phil whispers his prediction to Deeley, who then translates it for the world. Last year, Phil told Deeley that springtime warmth was on its way. This year, the rodent of the hour advised we keep our hats and mittens handy. Cecilia Mazanec is a Digital News intern.